Expressing concern over rising defaults in education loans, RBI Governor Raghuram Rajan suggested a system which is flexible and provide option like automatic moratorium, if borrowers are “under a period of unemployment”. He also stressed on making know-your-customer (KYC) norms simpler. New Delhi : Expressing concern over rising defaults in education loans, RBI Governor Raghuram Rajan suggested a system which is flexible and provide option like automatic moratorium, if borrowers are “under a period of unemployment”. He also stressed on making know-your-customer (KYC) norms simpler. There are "lots of NPAs (bad loans) in the education sector. They have been rising in the last few years. It's a matter of concern," he said at the 6th Delhi Economics Conclave here. Banks, he said, are increasingly asking for collateral for education loans. "If it is above 4 lakh they have right to ask for that collateral but it is an issue." For example, "if you go under a period of unemployment you get an automatic moratorium. Doesn't have to be negotiated with bank, it's written up in your contract. "Similarly if you get really high-paying job you pay a little more. If you get low paying job or you go to public sector and work in public sector may be you pay a little less. So, can we tailor such loans and how do we do it? There are a number of plans floating," he said. On KYC norms, he said it was important to make KYC simpler and easily accessible especially for the people who are moderately literate, who don't carry lot of documents. "Now we have to integrate across all the financial regulators. The FSDC has a proposal which we are working on. We are nearly there. I think we should see that very soon," he pointed out. 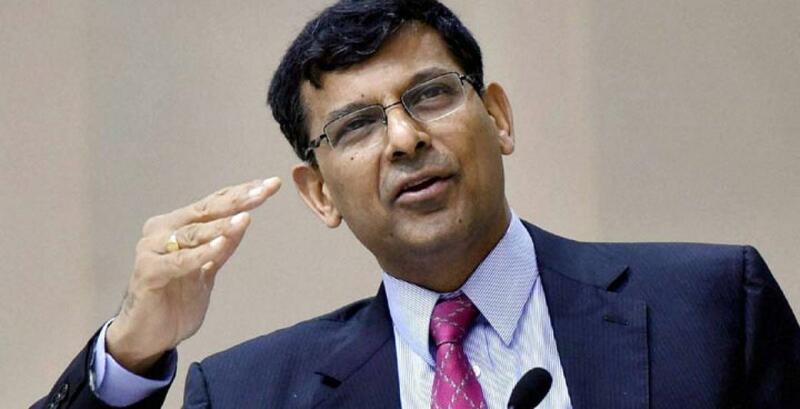 On financial literacy, Rajan said there is a need to teach where there is lack of information and lack of knowledge on the essentials of managing finance. "I think we are on the verge of a paradigm shift of how we do financial inclusion. We have gone some way with enormous number of accounts which have been opened with the direct benefit transfer. Rajan said that instead of mandate for financial inclusion, focus is on moving towards profitable business proposition. "Increasingly, we are trying to find bottom of the pyramid as profitable proposition so banks will go out. Institutions and other entities will go out to offer financial services without forced by mandate. Listing big game changers coming in the next few quarters, he said, one is a common risk-based KYC. The second is Payment Banks. "These entities will help in traversing the last mile. Whether it is the mobile companies whether it is the post office... I think we are going to see enormous innovation," he said. "Another game changer is online markets. When you visit these small areas making very fine products in small quantities their biggest problem is reaching the market and if they can reach the market via these online providers a whole new set of opportunities open up for them," he said.